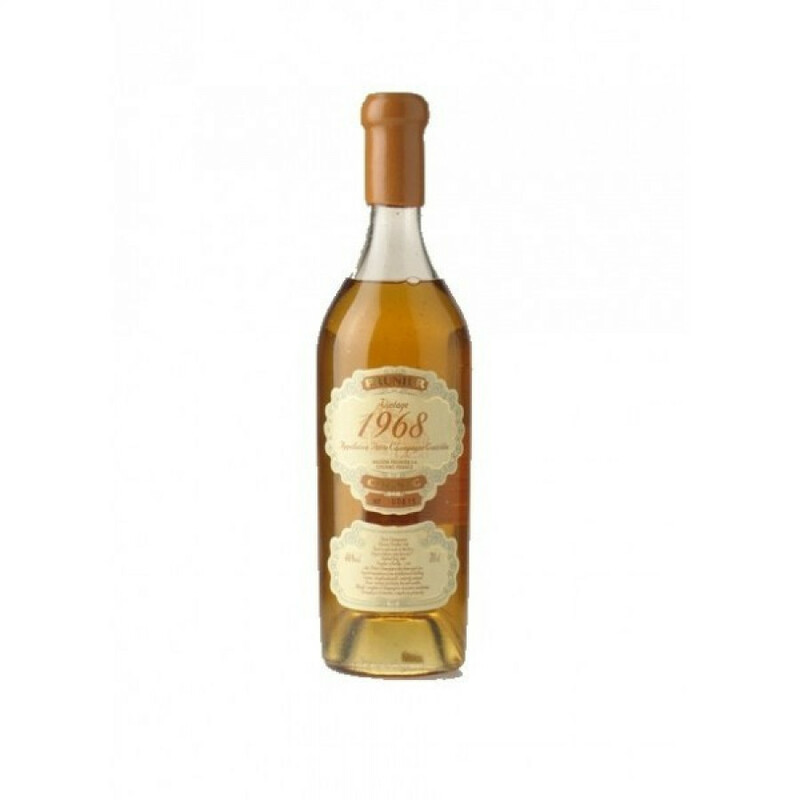 The Prunier 1968 Vintage Fins Bois Cognac is an extra-special delight from the masters of procurement of some of the region's very best eaux-de-vie. Prunier Cognac are a fairly unique house, in the fact that they don't have their own vineyards. Instead, the pick and choose only the best wine from various harvests, and then carry out the aging process in their cellars in the heart of the town of Cognac. This vintage 1968 Cognac from the Fins Bois regions spent nearly 25 years in a 400 leter oak barrel (there were only 2 of these barrels), before being deemed aqt the perfect point to bottle in July 2003. This cask strength Cognac was allowed to mature to ain incredible 61.9 °, and only a strictly limited edition of 1180 bottles have been produced. Rare, special, and one for the Cognac connoisseur. Steeped in tradition, Cognac Prunier is a family run firm with cellars in the heart of the town of Cognac. The house does not own its own vineyards, instead, they buy the eaux-de-vie directly from supplying vine growers and distillers each year, and then carry out the ageing process in their own cellars. The Borderies eaux-de-vie develops a certain floral and spicy note after 12 years of ageing. On the nose: Some notes of violets, orange blossoms, followed by ginger. Hints of vanilla. On the palate: Fine almonds, some raisin. The finish is long and balanced.